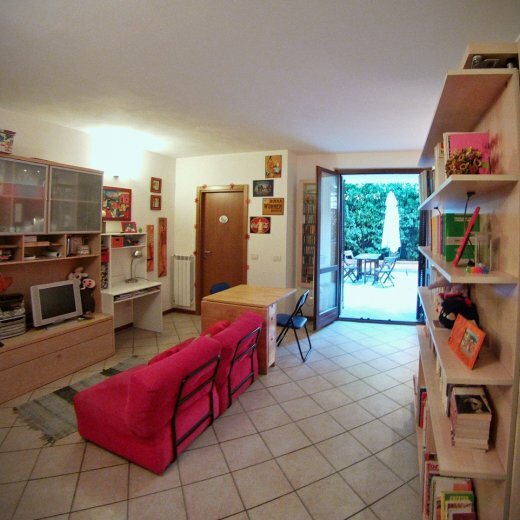 Lovely whole flat in Florence! 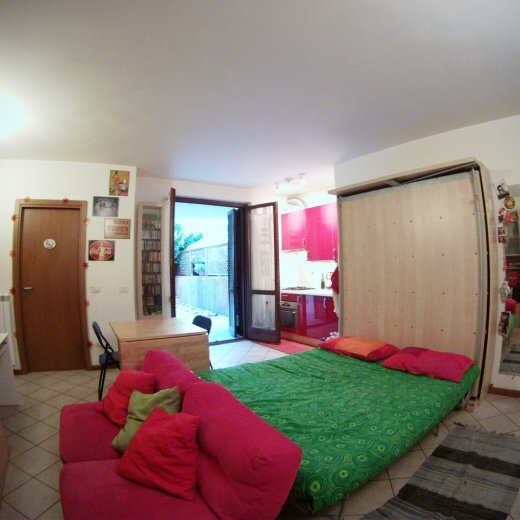 Spacious and colorful studio flat on ground floor with a relaxing garden. Cool during the hot summer and well heated during winter. Complete kitchen with oven/microwave and cookers, bathroom with shower, king-size folding bed, sofa/bed for a child and extra mattress for an eventual third guest. TV with DVD, stereo, fan, hairdryer, bedsheets and towels. Pizzeria/restaurant (the best Neapolitan pizza chain in Florence) right around the corner and 3 big supermarkets 5 minutes by foot. 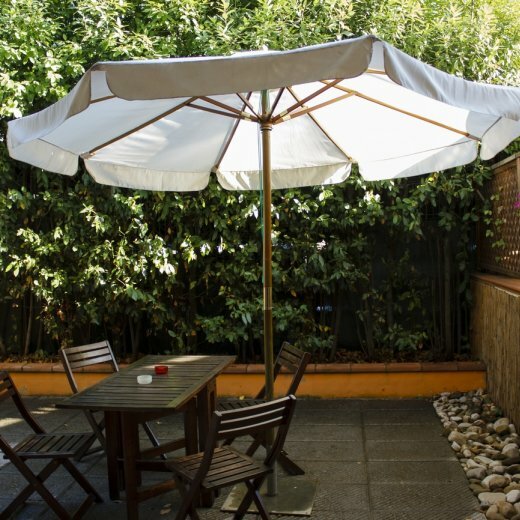 Located in a calm, quiet residential area 15 minutes away from downtown by bus and 9 minutes by train to SMN main station (bus stop and railroad station within very short walking distance). Bicycles available (main method of transportation in Florence!) as well as free parking spaces for cars or caravans just outside the house.